NEW DELHI, September 26. /TASS/. Russia invited India to become partners in training for manned space missions and in creating a satellite constellation for remote sensing of the earth, Roscosmos head Dmitry Rogozin has told reporters in New Delhi. "The Russian Federation may become India’s partner in manned space missions, and today we confirmed our readiness to move forward in this direction. 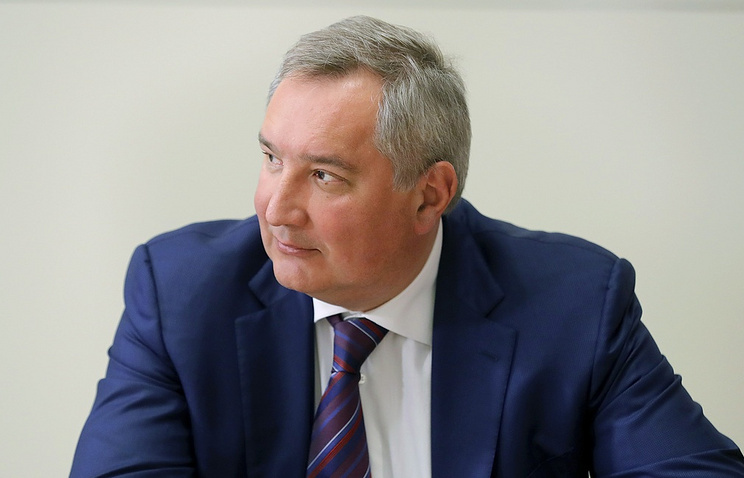 This work includes equipment, spacecraft’s damage control and calculations, which are extremely important for avoiding emergency situations," Rogozin said after a meeting with National Security Advisor to the Prime Minister of India Ajit Kumar Doval. "In general, it would be important for us not just to train Indian astronauts, be it in the Star City or another Russian center. It would also be good for them to practice in real space. Today I put forward our proposal to the Indian side: if they have the desire, the determination and the budget, we are ready to provide training for first Indian cosmonauts and send them to the International Space Station on board a Russian spacecraft. Therefore, they can get the grasp of how the station works, what the real space is like and what they can face there," he continued. Rogozin also said that Russia invited India to take part in a joint program to create a satellite grouping for remote sensing of the earth. "Roscosmos is ready to develop cooperation with India in the sphere of remote sensing of the earth, too. We know about the recent tragic events in India, about people perishing in floods during the monsoon period. However, this threat can be countered if you have an orbital satellite grouping that can show you how negative processes develop," the Russian official said. "At the first stage, we are ready to provide India with the data and the picture, so that our partners could make decisions in time to save people's lives and property. At the next stage, we are ready to create a joint satellite grouping for remote sensing of the earth," he went on. The Roscosmos official said that a joint satellite grouping of Russia, India and China was possible. "The same proposal was voiced to our Chinese partners. India could join it. In this case, the huge territory of Eurasia will be covered with a single satellite grouping for remote sensing of the earth. It will save thousands of lives during natural disasters, forecast the vegetation period of crops, as well as river overflows, forest fires and many other things," Rogozin added.